On June 7, 2018, SERO physicians gathered at Top Golf for the Charlotte Golf For A Cure event. 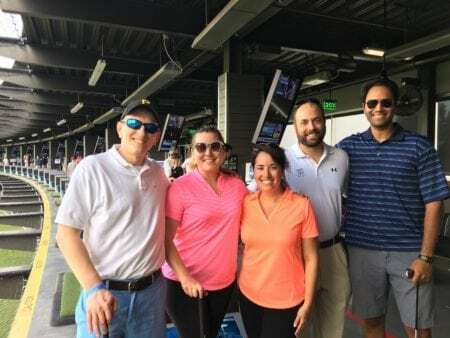 The event benefitted the Isabella Santos Foundation, a foundation that raises money and awareness for rare pediatric cancers, such as Neuroblastoma, Osteosarcoma, Ewing Sarcoma and Rhabdomyosarcoma. In 2017, the Isabella Santos Foundation raised one million dollars and donated $500,000 to Levine’s Children’s Hospital. The foundation was founded in honor of Isabella Santos, a young girl who was diagnosed with Neuroblastoma in 2007. Children diagnosed with Neuroblastoma have a 40% survival rate, which drops to less than five percent after a relapse. Isabella’s brave fight ended in 2012. 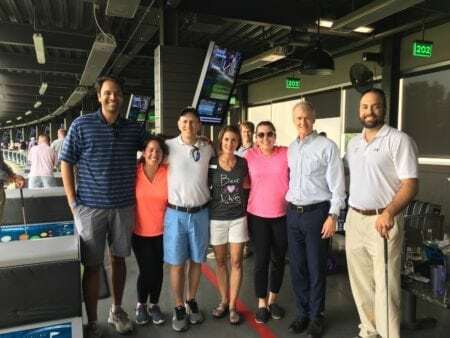 SERO was proud to sponsor and attend Charlotte Golf For A Cure, and is passionate about partnering with foundations like the Isabella Santos Foundation to fight against rare pediatric cancers.